In this chapter, the erosion status of the subaqueous Yellow River Delta is quantitatively detected according to the yearly observed topographic profiles. Accurate data about beach evolution were achieved by ten in situ measurements which were taken from the abandoned lobe beach in the north of the Yellow River Delta from December 2008 to December 2009. Meanwhile, the weather and hydrology data were also collected to analyze the mechanism of coastal evolution. 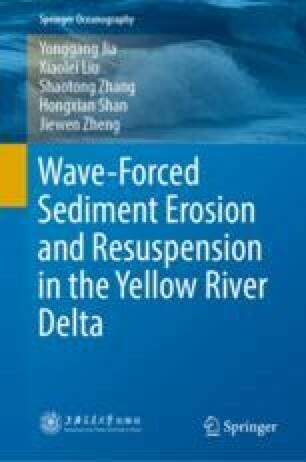 Based on the topographic profile data of 22 lines on the subaqueous Yellow River Delta in nearly 30 years from 1976 to 2004, the erosion process of the subaqueous delta was analyzed. The role of storm surges in controlling seabed erosion of the Yellow River Delta is further discussed.